Those of us of a certain age will always remember our local cycle/toy/hardware shop and its tempting displays. 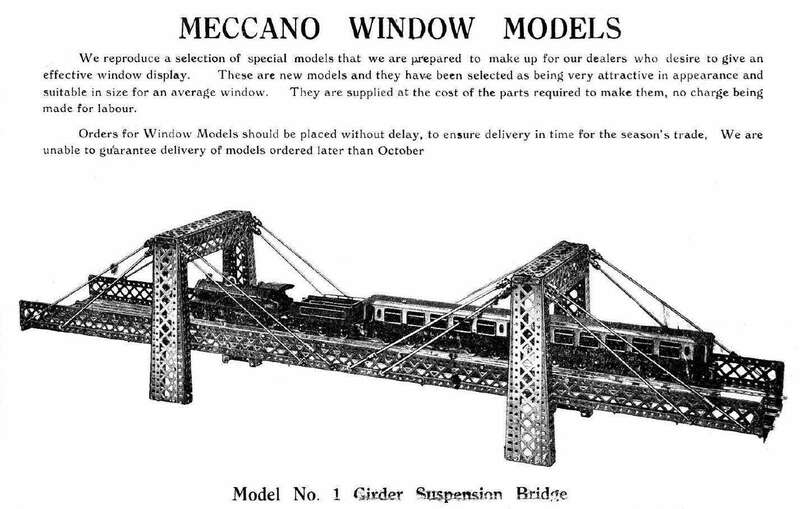 In the run-up to Christmas there would often be a marvellous Meccano model in the window, often lit up and moving, which would advertise the fact that you could get sets and spare parts here. We could never imagine having enough parts to build such models, but this is what dreams were made of – Meccano was nothing if not aspirational! Many of these models were listed by Meccano for dealers to chose from, and they would be made up to order and supplied to dealers at cost to promote the trade. This is my version of a classic Binns Road shop window display model, described as “Model No. 1 Girder Suspension Bridge.” It is actually a Cable Stayed Suspension Bridge where the load is carried by the towers, not from a chain slung between them. 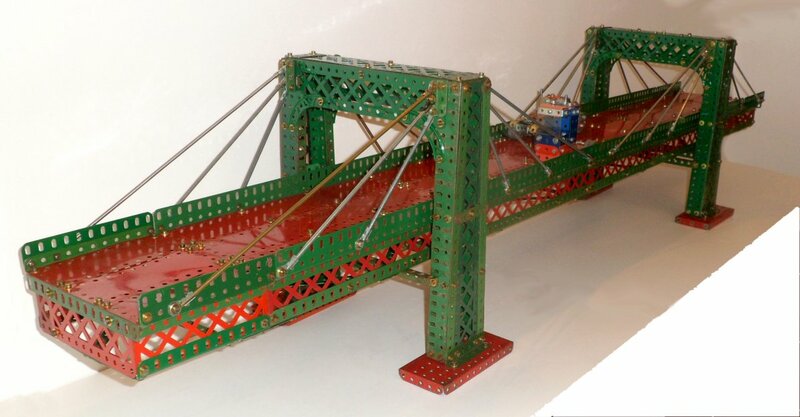 I have re-engineered it to produce a more substantial model and this has a road-deck rather than railway tracks as in the original, allowing me to add in a couple of mini-trucks, made in Meccano, of course.